Former England International, JAMIE CARRAGHER has said Virgil van Dijk was at fault for Alfie Mawson’s goal in Liverpool’s 1-0 defeat to Swansea last night. Liverpool’s 18-match unbeaten run came to an almighty halt yesterday just one week after their stunning win over league-leaders Manchester City. Roberto Firmino hit the post in the dying seconds while Emre Can and Sadio Mane both spurned strong chances to level the scores. But they were unable to find a breakthrough after Mawson put Swansea ahead in the first half. Van Dijk won the initial header from an in-swinging corner, but the ball fell kindly to Mawson who slashed his effort out of the reach of Loris Karius. 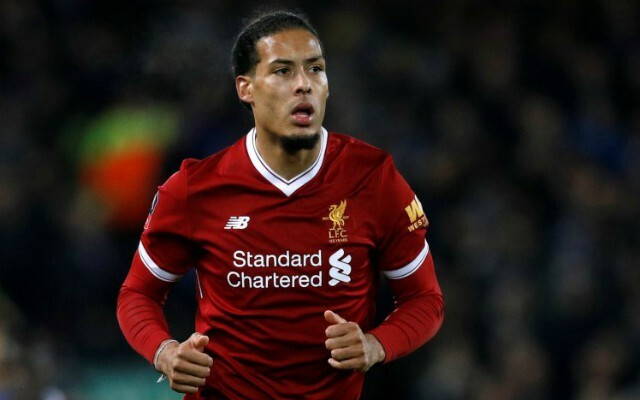 And Carragher believes Van Dijk should have done better before stating the Holland international can’t be expected to fix Liverpool’s defensive problems. “It’s poor from Virgil van Dijk,” Carragher said. “In some ways, he shouldn’t have gone for it. It’s not really his header. Maybe he’s trying to do too much in some ways.